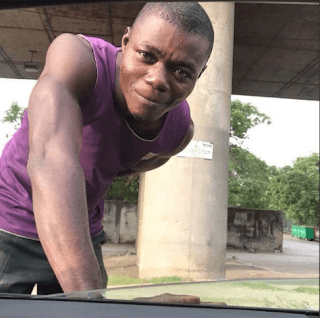 The prisoners were being transported in a Nigeria Prison force van heading to Ikoyi Prison but were stuck in traffic. 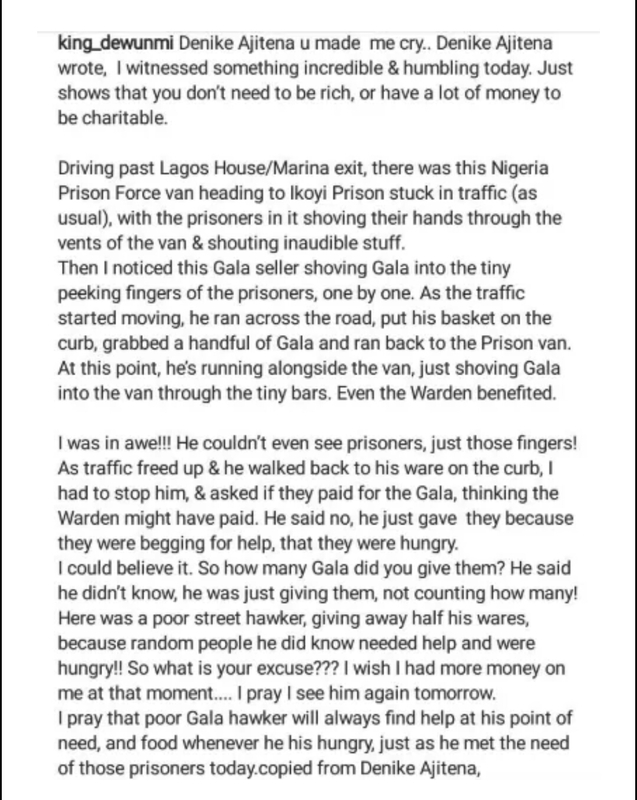 As usual, the prisoners stretched out their hands through the tiny holes by the sides of the van and theGala seller’s next action surprised everyone. 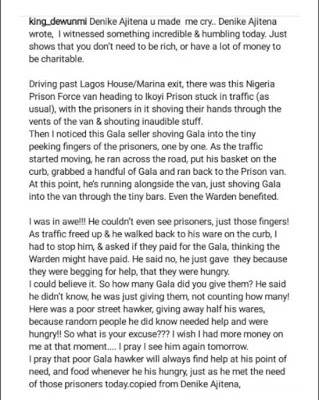 He took the Gala he was selling and began distributing to the prisoners for free. When the van began moving, he dropped his basket by the side of the road, grabbed a handful ofGala and ran after them to make sure everyone gets a share.